I adore living in Northumberland and despite living in this county, I always book short breaks and holidays here too. I think what draws me to holidaying here is our gorgeous countryside and coast. It's just the best! Booking a holiday on your doorstep isn't for everyone though so imagine my delight when I found somewhere in the UK that very much reminded me of lovely Northumberland. 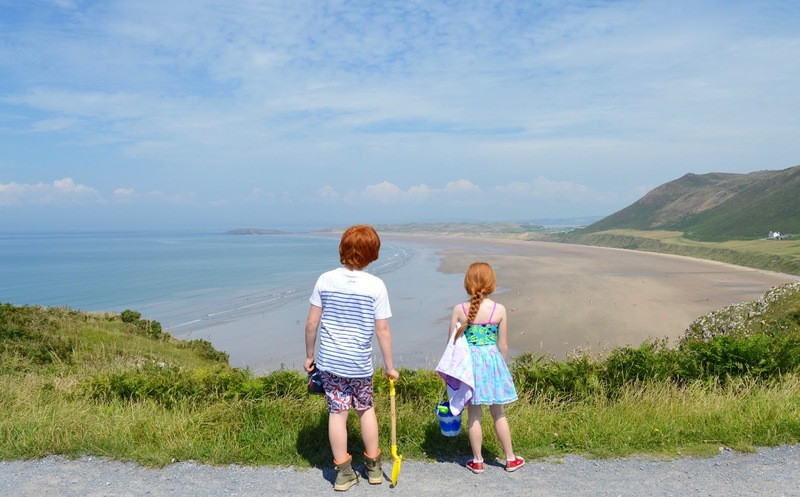 Swansea Bay and the Gower in South Wales is that special place. I honestly fell in love with the region during our stay last month. It takes between 7 - 8 hours to drive there from Northumberland or around 6-7 hours by train from Newcastle-Swansea with just one change at Newport Gwent. It's really not as far away as I imagined. 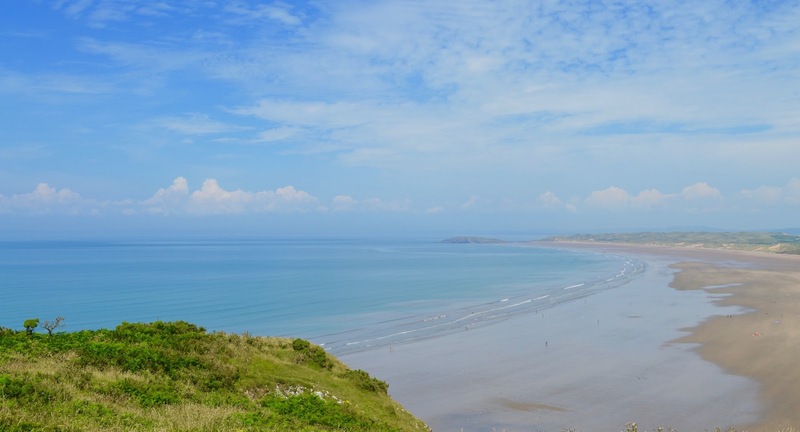 Just like Northumberland, Swansea Bay is home to some of the most beautiful and unspoilt beaches in the UK. Rhossili Bay actually took my breath away. 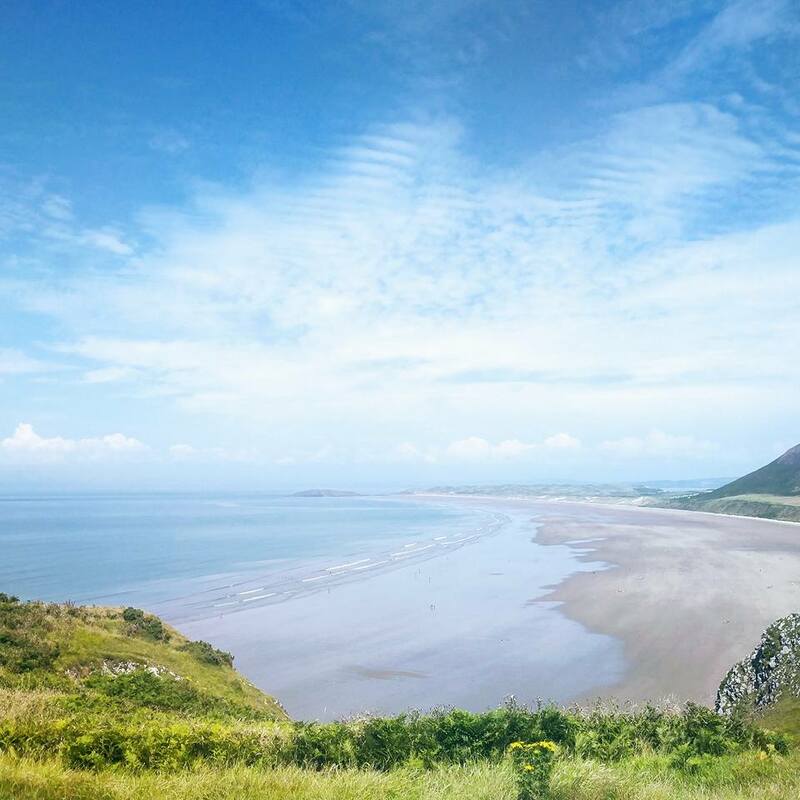 It has been voted as Wales' best beach for 2017 and in Tripadvisor's Top 10 UK beaches for the past 5 years. I can certainly see why. 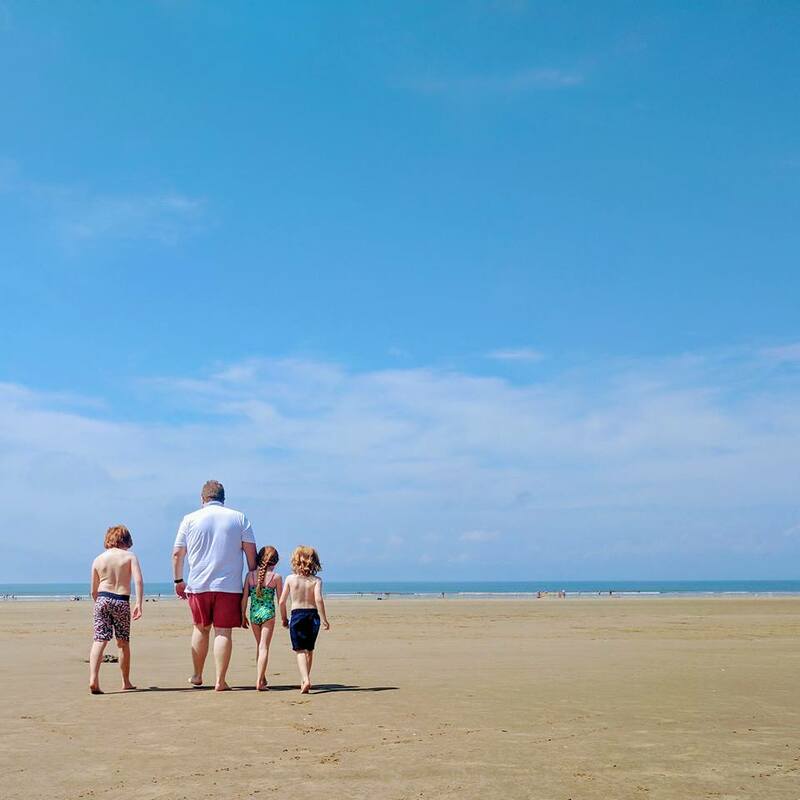 If you're a beach lover or enjoy coastal walks, a trip to the Swansea Bay area simply has to be on your bucket list. One of our favourite pastimes in Northumberland is to explore the fantastic castle in our region. We feel like we have pretty much exhausted them all so when we visit somewhere new we are always on the look out for new castles to explore and discover. 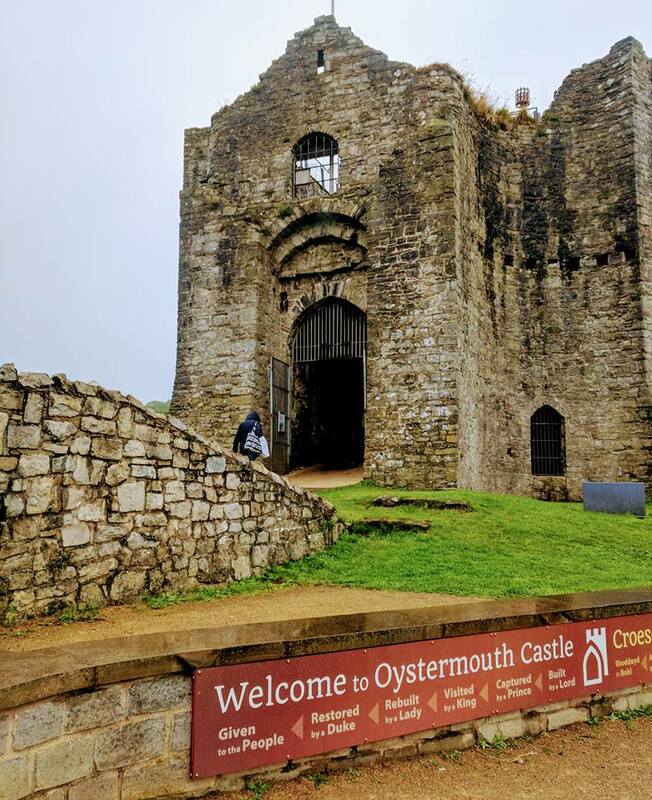 We visited Oystermouth Castle in Mumbles and think it's the perfect example of a small Normal castle with spectacular views across the bay. We joined a guided tour and loved listening to the castle's history and exploring the castle's secret passageways. 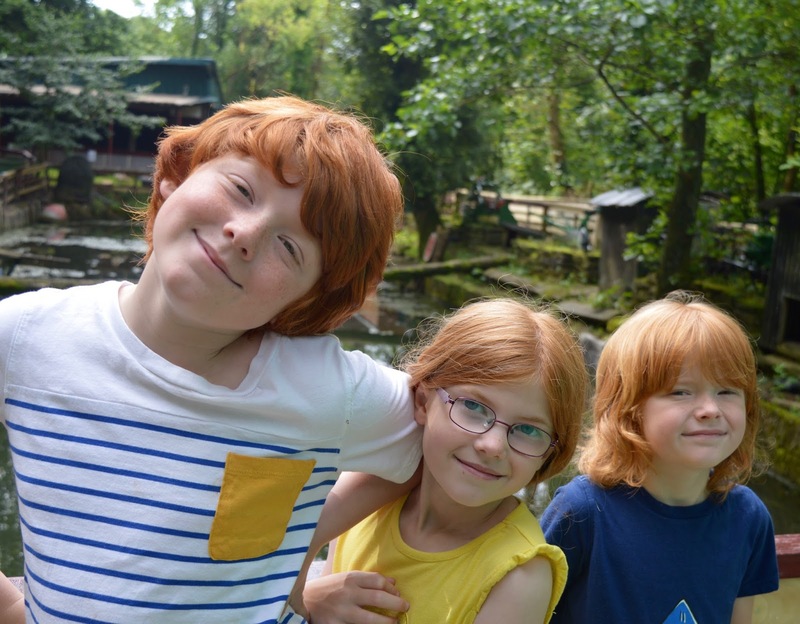 Our guide kept the kids entertained with a couple of ghost stories and legends surrounding the castle and we particularly liked the idea that there may be a secret corridor running from the castle to Mumbles church. Entry to Oystermouth Castle is very reasonable at just £3.50 per adult or £2.50 per child (under 5's are free). 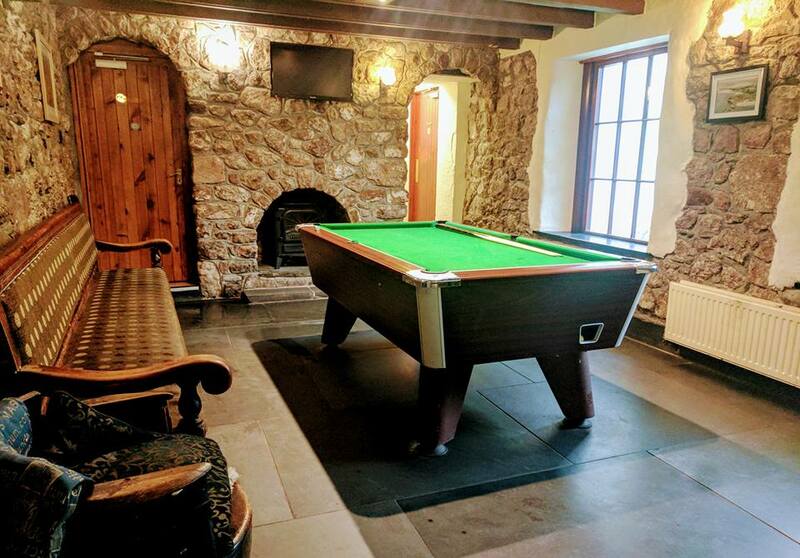 The King Arthur Hotel is definitely a pub not to miss! The food is really beautiful and Steve enjoyed his best dish of the holiday here. 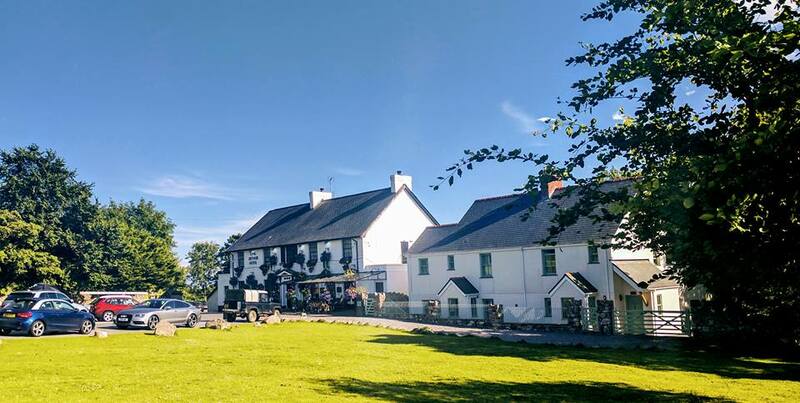 There's a large beer garden, a selection of local ales, a restaurant and welcoming bar. The kids loved playing outside on the grass here as we finished our drinks. 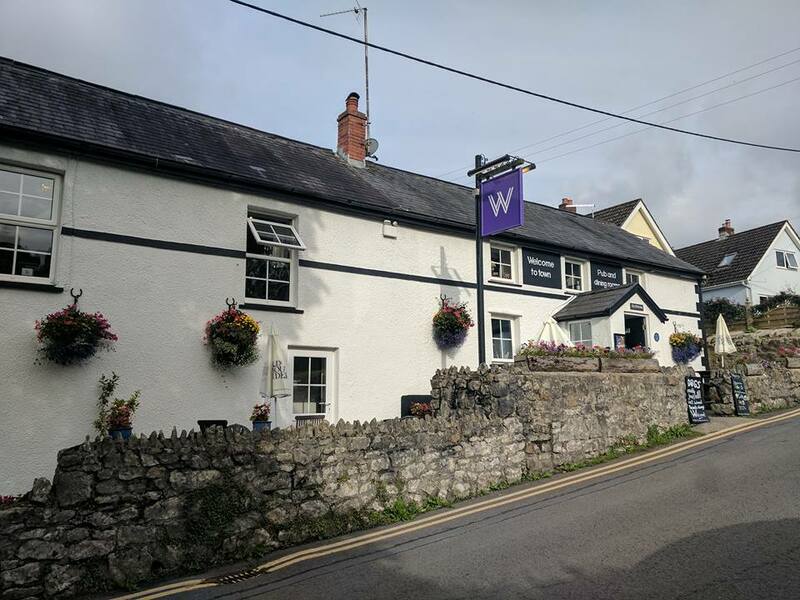 We spent three nights at The King's Head Inn and think this 17th Century Inn is one of those pubs with real character. 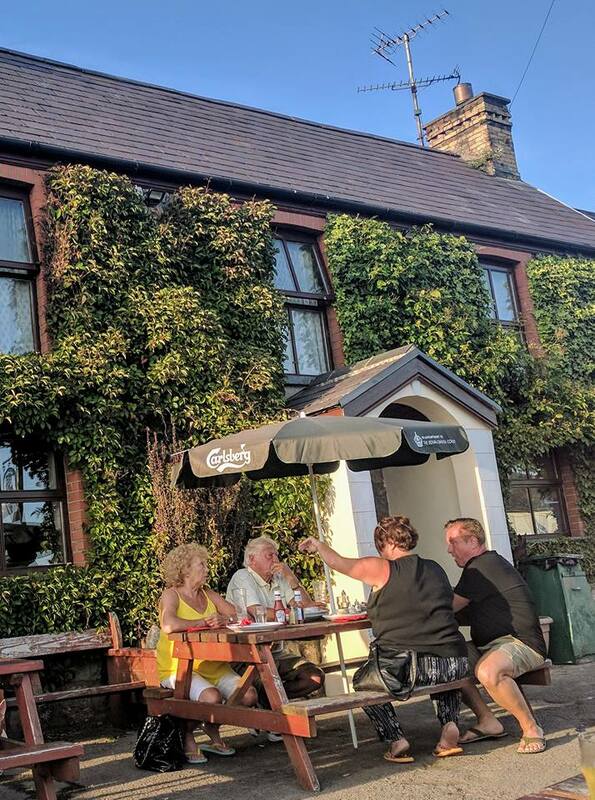 It's a popular pub in the evening as it's just a hop skip and a jump away from the beach and locals/holiday makers tended to pop in on their way home. Food is all home-cooked and we loved the beer garden and pool table. Welcome to Town is a super popular pub and restaurant (we witnessed people having to wait for a table mid-week). The food is honest and service with a smile. I loved the quirkiness of this pub and it's definitely one to add to the list. 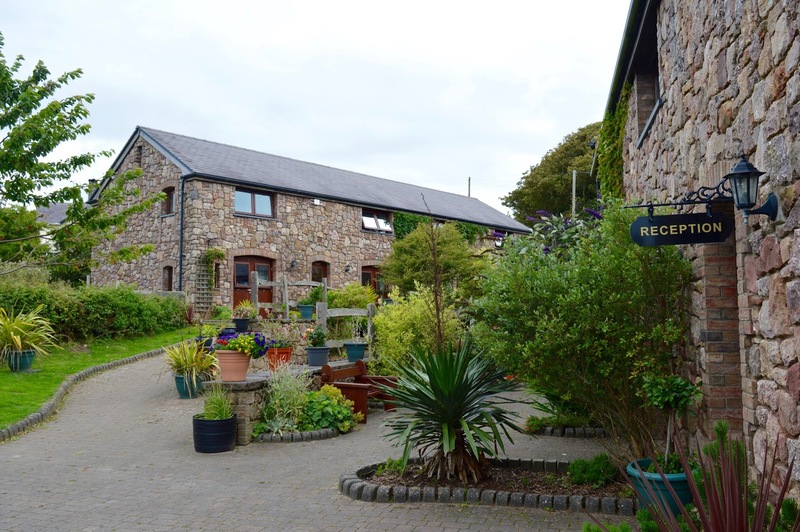 You can't help but relax and unwind and take the rural lifestyle in your stride in Swansea Bay. 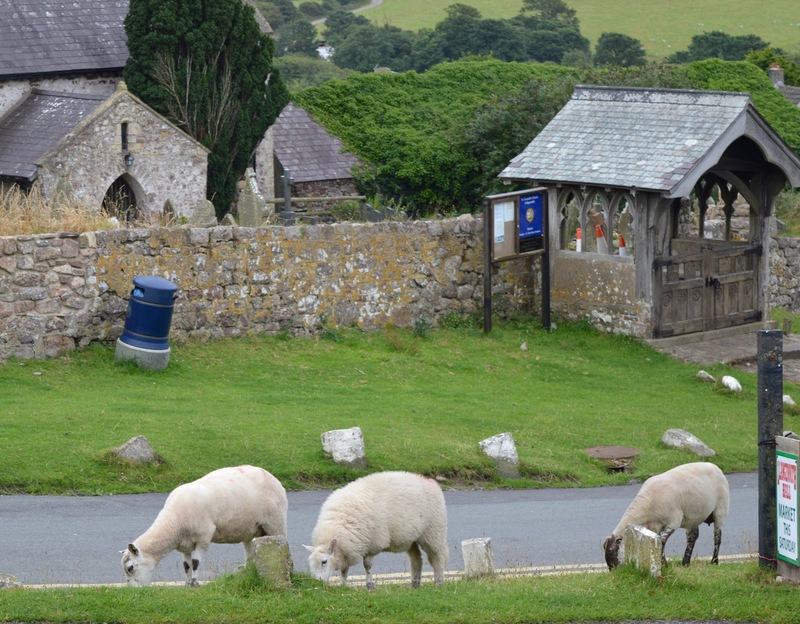 There are miles of country roads with outstanding views, homemade produce for sale next to honesty boxes by the side of the road, sheep and horses grazing by the road side and lots of brilliant walking routes too. I am always proud when others mention that the people of Northumberland are so friendly and welcome, well let me return the favour and say that this goes for the people we encountered in the Swansea Bay area too. From the pirate at the Gower Heritage Centre who read Jack a special story when he was feeling poorly to the volunteers at Oystermouth Castle who helped the children with crafts and the staff in multiple shops in Mumbles who went out of their way to try and track a pair of new swim shorts down for Harry, every single person we encountered during our stay really went above and beyond to make us feel welcome. You can find out more and start planning your break here.